"Unattended Cremation Service in Melbourne, Victoria just in $1695 inc GST"
At Fixed Price Cremations we understand that grief can make decision making seem more difficult than it should be. That’s why we are keeping things as simple as possible in offering our unattended cremation service for a fixed price of $1695. The reasons for choosing an unattended cremation over a traditional funeral service are many and varied. The high cost of a traditional funeral service may be reason enough, but in these days of heightened consumer awareness, the main reason surely has to be choice. With an unattended cremation it is possible to choose to step outside of the ordinary and construct a meaningful farewell at the end of a unique life that is not tied to the “usual way things have been done”. For example, an unattended cremation at $1,695 takes care of all of the necessary and unavoidable aspects of planning a funeral. This leaves you free to celebrate the life of the deceased person in any way that is most appropriate. It could be with a champagne toast at 1,500 feet in a hot-air balloon over a desert or a gathering of friends and family in the back yard. Whatever your reason for choosing an unattended cremation service, simply call us on 1300 262 797 and let one of our specialist cremation staff guide you through every aspect of the cremation application process. We are here to assist and you can call us any time, 24 hours a day, 7 days a week. We will thoroughly answer any questions you have or help you to arrange a Fixed Price Cremations unattended cremation package, guiding you through each step of the process over the phone. Alternatively, use the Contact Us form on this site to arrange for one of our staff to call you. At Fixed Price Cremations we offer one simple low cost cremation service – an unattended creation. Call 1300 262 797 or contact us via our online form. At Fixed Price Cremations, our mission is to provide people in Melbourne, Victoria with a choice. Many traditional funeral services come at a very high price—leaving people who want a simple service done their way, searching for another option. During the grieving process, we believe that you should not have to make difficult financial decisions, and that’s why we offer affordable cremation services in Melbourne, Victoria. We only offer one unattended cremation service at a fixed price, which means that not only do our clients get cheap cremation services in Melbourne, Victoria, they also get a service that does not compromise on attention. Those looking for budget funeral services in Melbourne can rest assured that their service will be carried out with great respect and care. Our low cost funeral services are priced at $1695 and not a cent more. Doing your service with us means there are never any hidden costs or financial surprises. An advantage to choosing affordable cremations in Melbourne, Victoria is that you can spend your money to celebrate the life of the unique individual in a way that really resonates with them and with each and every loved one. If you are someone who wants to take the complications out of the funeral process and would like affordable cremation services in Melbourne, Victoria as an alternative to the “usual way things have been done”, contact us on 1300 262 797. Each member of our team is dedicated to kindly guiding you through the process and helping to accommodate you at every step of the way. A funeral service allows loved ones to respectfully celebrate and pay tribute to the life of a person in a pleasant and dignified way. It gives family and friends the chance to send the deceased off with a service that most honours them. Out of all the affordable funeral services in Melbourne, Victoria, we believe that cremation packages give loved ones the best opportunity to create a tailored service for a friend or relative that has passed away. This is because most basic low cost cremation services, such as ours, handle all the essential aspects of a cremation; while leaving family and friends more money and time to organise a service of their own—a service that best represents the life of the deceased. 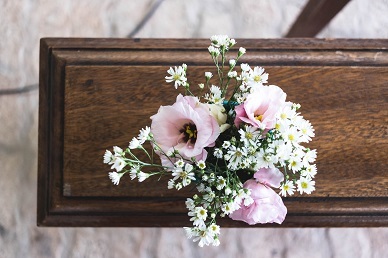 Holding a funeral service for a loved one is also an important step in the grieving process, and provides an important occasion for those close to a person who has passed to heal together. When friends and family come together in honour of a loved one, it creates repair and helps mourners to support one another. "My Dad was really adamant that when he died he didn’t want a funeral because he couldn’t bear the thought of Mum and us kids being out of pocket so when he passed away we did an online search and ..."
"When some friends of ours told us recently how much their mother’s funeral had cost, we were gob smacked and decided that the last thing we wanted was for our kids to have to fork out that sort of m..."
At Fixed Price Cremations, we offer low cost cremation services. Our caring team of experts are on hand to help you best arrange a cremation and handle the details. We don’t simply provide budget funeral services in Melbourne, Victoria, but we offer a service that ensures the care and dignity of a deceased individual. We know how challenging it can be to organise a funeral while grieving, so we are sensitive to the many emotions that you may feel during this time. From the transport through to cremation urns, we want to guide you through the process and help to make things easier during this often difficult period. Our low cremation cost is designed to provide you with the option to spend your money on a personalised service for your loved one, or to simply equip you with the choice of holding a non-elaborate service that doesn’t cost a lot of money. If you’re interested in finding out more about an unattended cremation service, feel free to contact our cremation specialists, 24 hours a day 7 days a week, on 1300 262 797. "If you’re considering cremation for yourself or a loved one, you most likely have some specific questions about the cremation process. 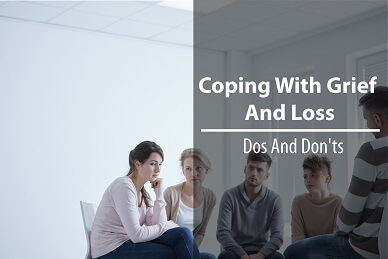 We at Fixed P..."
" How to Help Someone Coping With Grief? There are no rules when it comes to grieving. Grief takes its own path in each person, whether it goes qui..."
Why should I choose Fixed Price Cremations? At Fixed Price Cremations, we offer a no frills, unattended cremation package at the low cost of $1,695 including GST—and our specialist team are here to help make arranging this as easy for you as possible. How long does it take to plan a funeral? At Fixed Price Cremations, we offer one unattended cremation service that doesn’t require planning. A death certificate can be obtained through the Registry of Births, Deaths and Marriages in the applicable state. Traditionally, a funeral directors job is to organise funerals and help families make important decisions regarding funerals. Is a cremation cheaper than a funeral? The average cost of a cremation is much cheaper than the average cost of a funeral. What do funeral directors do to prepare the body? This will depend on the type of funeral service selected. Where to buy cremation urns? At Fixed Price Cremations, we offer a range of cremation urns. How do funeral directors prepare a body? How much do cremation urns cost? Our cremation service includes a cremation urn. When selecting a custom urn, the cost will vary depending on which one you select. At Fixed Price Cremations, our unattended cremation service costs $1,695 including GST. What are cremation urns made of? Cremation urns come available in different materials, including wood, metal and biodegradable paper. How does cremation service work? In a cremation service, the body of the deceased is transported to the crematorium, where it is then cremated and the remains are placed in to a cremation urn. Can a funeral director register a death? In Australia, a funeral director generally registers a death. After a cremation service, the urn containing the remains of a deceased individual is given to loved ones. How long does it take for a funeral after death? After death, depending upon certain factors, a funeral can be held in a relatively short amount of time. A prepaid funeral plan is when a funeral is planned and paid for in advance of the death of an individual. How to preplan your funeral? To preplan your funeral, contact our team of cremation specialists on 1300 262 797. How to pre plan funeral arrangements? To pre plan an unattended cremation service, contact our team of cremation specialists on 1300 262 797. Are pre paid funerals safe? At Fixed Price Cremations, you are in safe hands when arranging a pre paid funeral. What to do for funeral planning? To plan an unattended cremation service, contact our team of cremation specialists on 1300 262 797. How long does funeral planning take? Our unattended cremation service doesn’t require any planning. How do prepaid funeral plans work? Prepaid funeral plans work by allowing you to pay for, and arrange, your funeral in advance. Are prepaid funeral plans a good idea? Prepaid funeral plans can be a good idea, as they allow your loved ones to focus on processing their emotions when you pass away. What is the best prepaid funeral plan? We recommend our unattended cremation package. 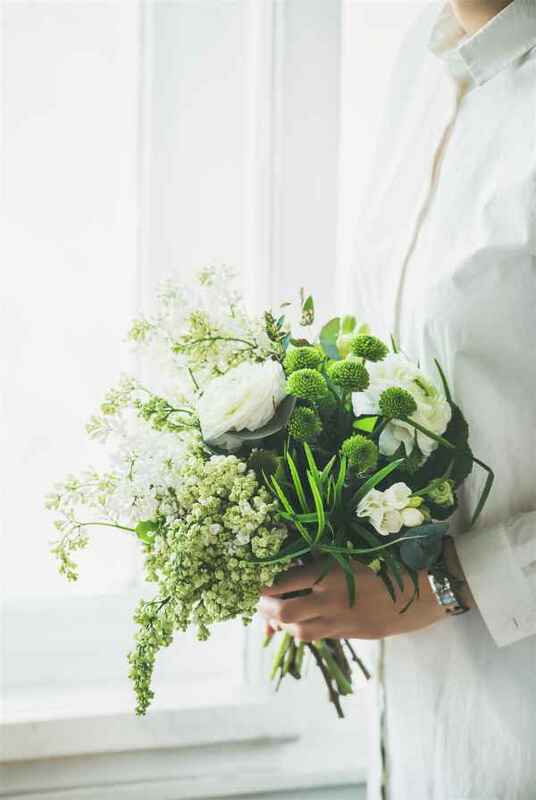 Preplanning your funeral allows you to arrange it in the way you would best like to be honoured, and takes the task away from your loved ones, who will appreciate not needing to make any difficult decisions when you pass away. It is best to shop around and contact the team, so you can get a feel of which organisation is right for you. Can funeral directors keep ashes? Funeral directors cannot keep the ashes if the family have requested them. If the ashes remain uncollected, most states in Australia have some time period which they require crematoriums to store them. Are funeral expenses an income tax deduction? To our knowledge, funeral expenses are not an income tax deduction. For more accurate information, please contact your accountant. Are funerals held on weekdays? Yes, funerals are generally held on weekdays. How can I plan my own funeral? To plan your own funeral, contact us on 1300 262 797. How does funeral pre planning work? Funeral pre planning allows an individual to arrange their funeral in advance of their death. For more information, contact us on 1300 262 797. Funeral planning is the process of making the arrangements of a funeral service. What is involved in funeral planning? Funeral planning involves an array of different things, depending on which funeral type is chosen. At Fixed Price Cremations, all the planning is done for you. How to preplan a funeral to save money? Preplanning your funeral service may save you time, money and energy. Why should I pre plan my funeral? You should pre plan your funeral to take the burden away from your loved ones when you pass away. Pre planning will also give you the opportunity to hold your funeral in a way that best suits you. Your family are free to do whatever they wish with your ashes. Many families choose to scatter a loved ones ashes in an ocean, bury them, or keep them at home.